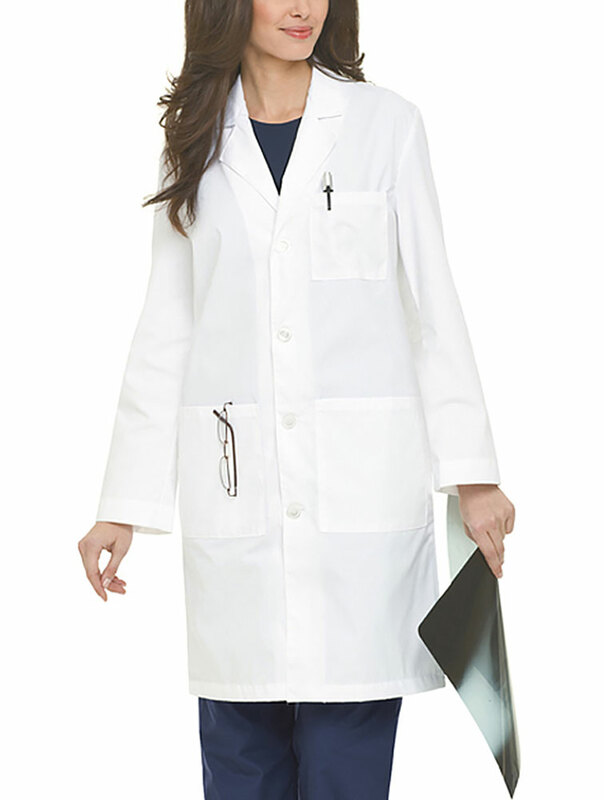 Long coat with traditional collar and four-button front closure. One breast pocket and two lower double pockets. Two side-entry pockets on seam. 65% Polyester/35% Combed Cotton Medium length: 39" .